Beyond providing data for all 32 NFL teams, PFF also supports network broadcasters with game-preview packets that are used to enhance the in-game experience for fans and viewers. 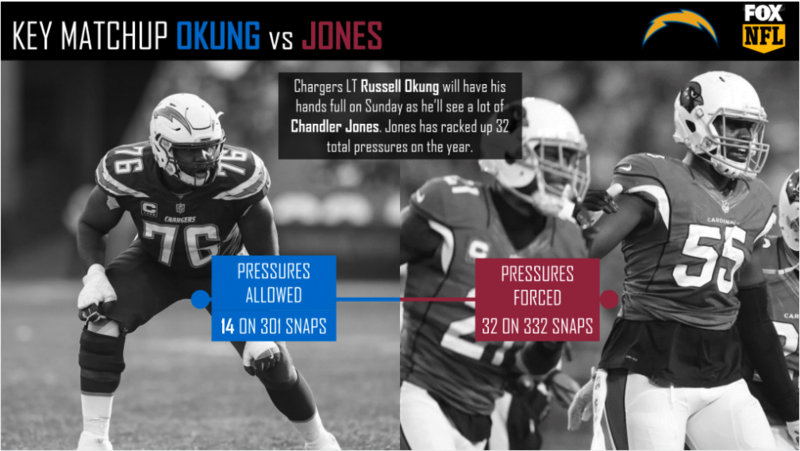 This Cardinals-Chargers preview features the same information our broadcast partners use for team research and in-game production. 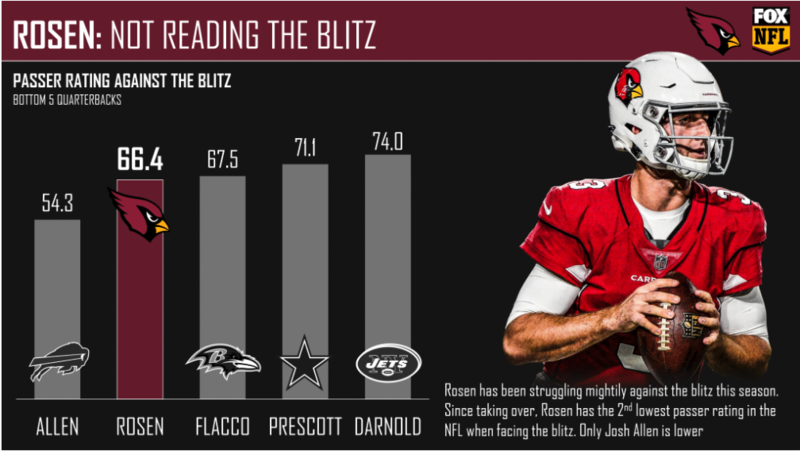 Josh Rosen has struggled against the blitz in his rookie year, as he currently has the second-worst passer rating (66.4) when defenses have sent an extra rusher. 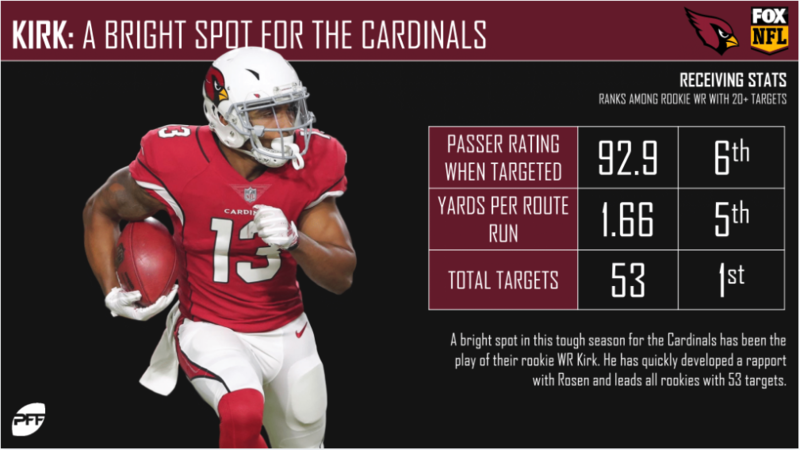 Christian Kirk has been one of the very few bright spots for the Cardinals this season. He has gained an average of 1.66 yards per route run, fifth among rookie wide receivers. 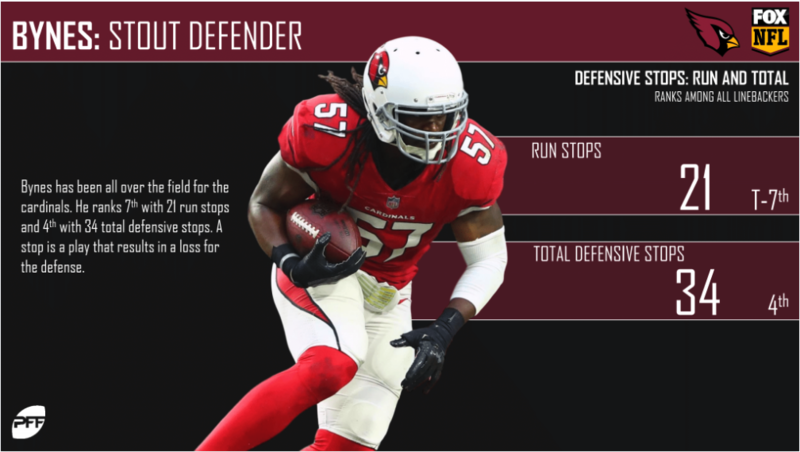 Josh Bynes has swarmed around the field for the Cardinals defense, ranking fourth in defensive stops among linebackers. 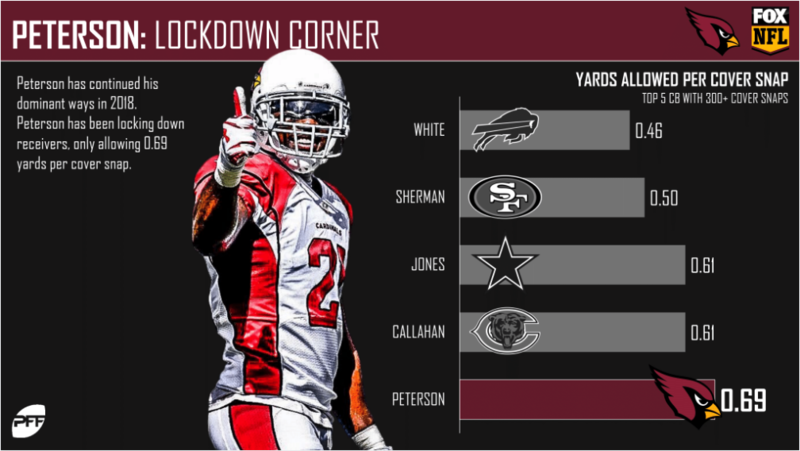 Patrick Peterson has allowed an average of 0.69 yards per cover snap, ranking fifth among cornerbacks. 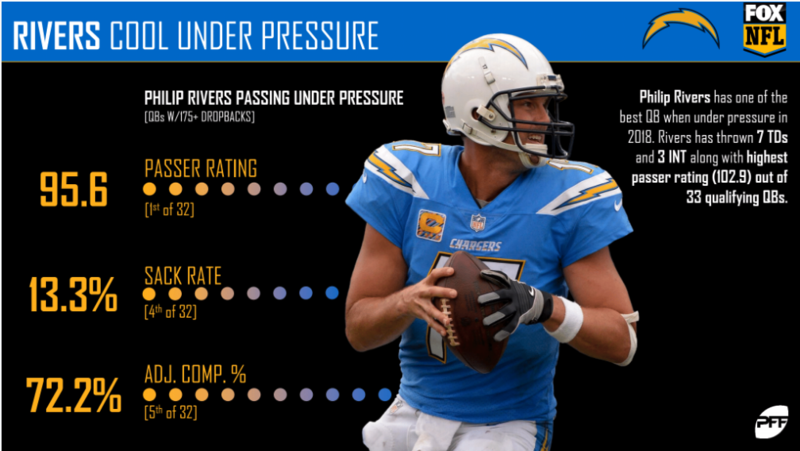 Philip Rivers‘ great 2018 season is due in large part to his success when facing pressure. He has the league’s top passer rating (95.6) and the fourth-lowest sack rate (13.3%) when under pressure. 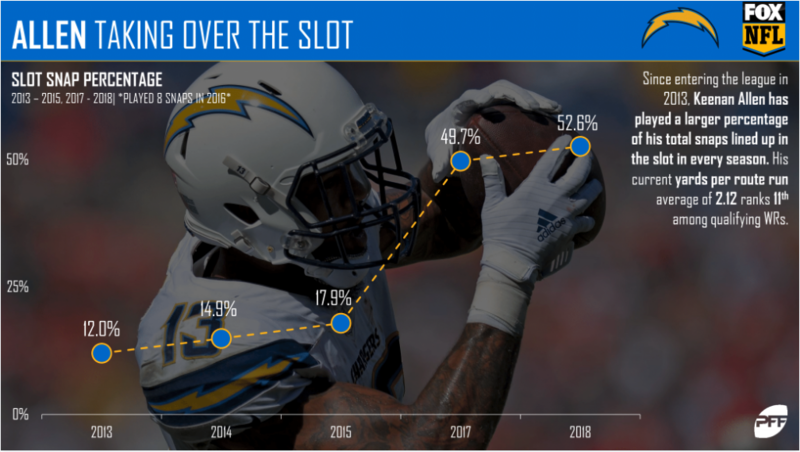 Keenan Allen has run 52.6% of his routes from the slot this season. It hasn’t hurt his game much either; Allen’s 85.3 receiving grade ranks ninth among wide receivers. 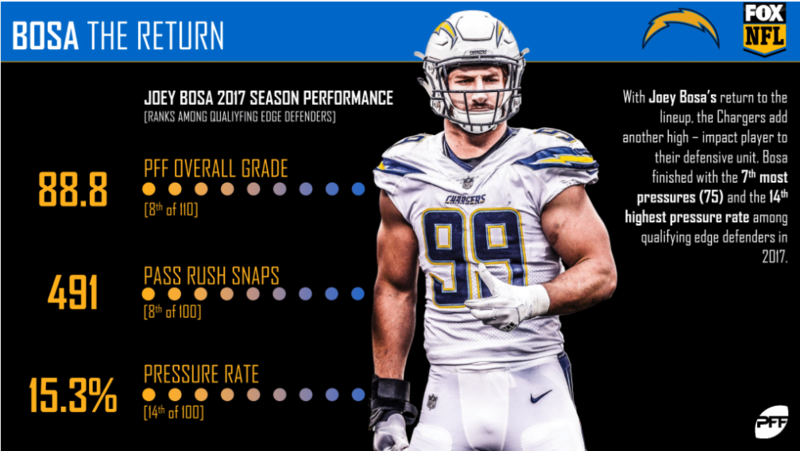 Joey Bosa is making his return, and the Chargers couldn’t be happier. He had an overall grade of 88.8 last season, which ranked eighth out of 110 qualifying edge defenders. 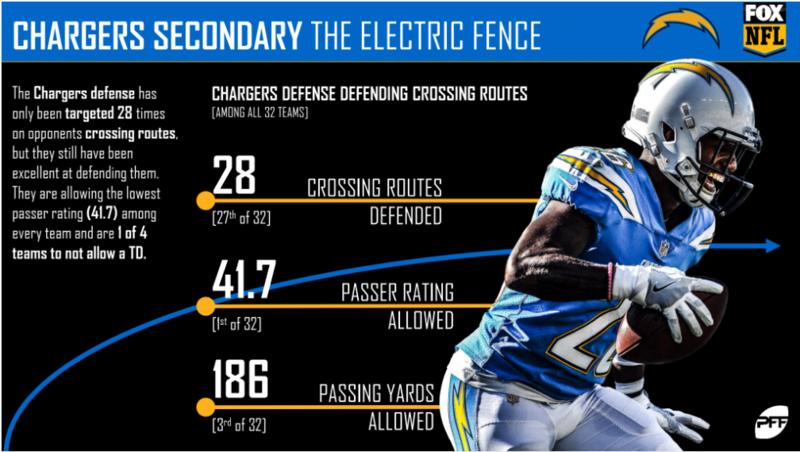 The Chargers’ defense is extremely effective against crossing routes. They’ve allowed a passer rating of just 41.7 against crossers – the best mark in the NFL.